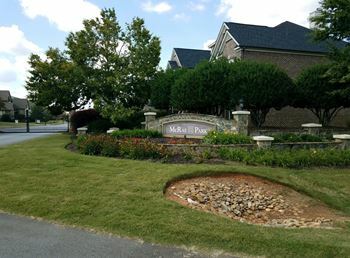 McRae Park Homeowners Association is a gated community with 50 homes located off of Sunnydale Road in Simpsonville at Five Forks. Amenities include street lights, sidewalks, gated entrance and open spaces. The Board of Directors is made up of five (5) members whom oversee the day to day operation of the community while working with Chastine Property Management. Feel free to contact the office at 864-640-8137 or e-mail at office@chastinepm.com for any questions relating to the community. Click the links below to view or print the HOA governing documents and forms.